Looking for ideas to steal, tips from award winning brands and leads on where to find the best marketing partners to power your campaigns in 2017? 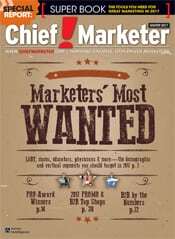 Marketers Most Wanted: Profiles of the hottest demographic segments B2C and B2B marketers need to focus on in 2017, including millennials, LGBT, teachers, moms, doctors and more. 2016 PRO Award Winners: Profiles of the best promotional marketing campaigns of the year, including Octagon’s “44 Days of Crazy at the Rugby World Cup” effort for MasterCard Global and RedPeg Marketing’s “Assassin’s Creed Challenge” for Ubisoft. PROMO Top Shops: Chief Marketer’s exclusive listing of the top 100 promotional agencies. B2B Top Shops: The best of the best business-to-business marketing agencies. Source Directory: Chief Marketer’s 2017 resource for marketing services providers. 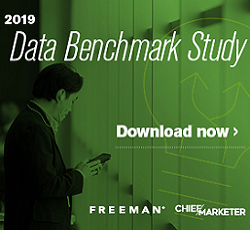 B2B by the Numbers: Key stats from our exclusive B2B lead gen research. Check out the digital edition of the Super Book now!